Client: Commend makes security and com systems for the protection of people, buildings and valuables. It has been a great pleasure to collaborate with UX Passion for the redesign of our software clients (Windows, Android and iOS). In particular we liked the clear feedback on our status quo designs, their competent usability consulting and the high quality design they provided. As a plus I’d like to mention their responsiveness and their sustaining support throughout the redesign project. Maintaining security for people and their property, as well as national and all other forms of security have always been active area of work for Commend and the source of many challenges. Rescue forces, fire brigades, police and various security companies, as well as hospitals and nursing homes rely on their products. 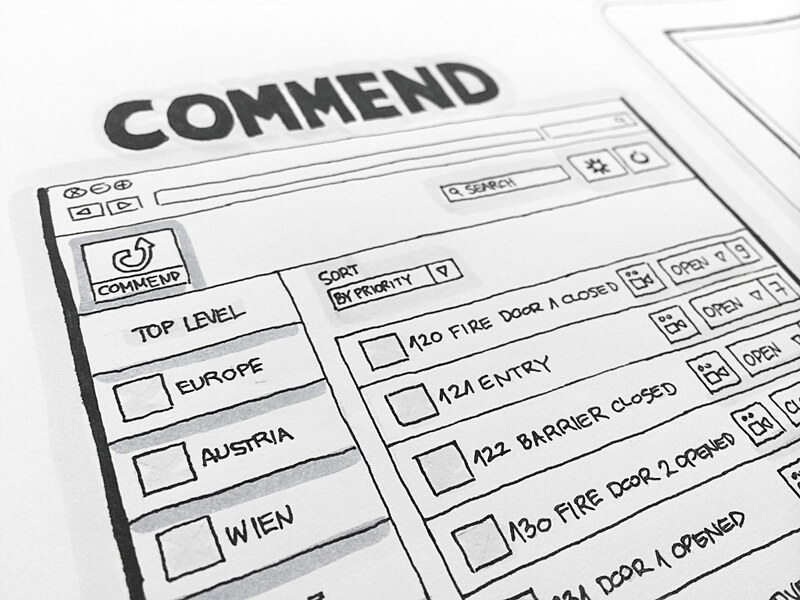 Commend approached UX Passion looking for help with its web and mobile apps. In the field of private security and property protection timely information can make all the difference, even when it comes down to something as simple as an Intercom Client (IC). Actually, this device marries highly complex functionality with powerful engineering, and we were asked to make it simple to use, effective and highly intuitive. We were also asked to create an error-free user interface that could be used on hundreds of millions of mobile devices worldwide. The web application was similar in its basic nature. Our goal was to develop information architecture, interaction design and visual design for the ComWIN – Control Desk Visualisation, a single-point management centre for intercom systems and building infrastructure such as lights, doors and ramps. 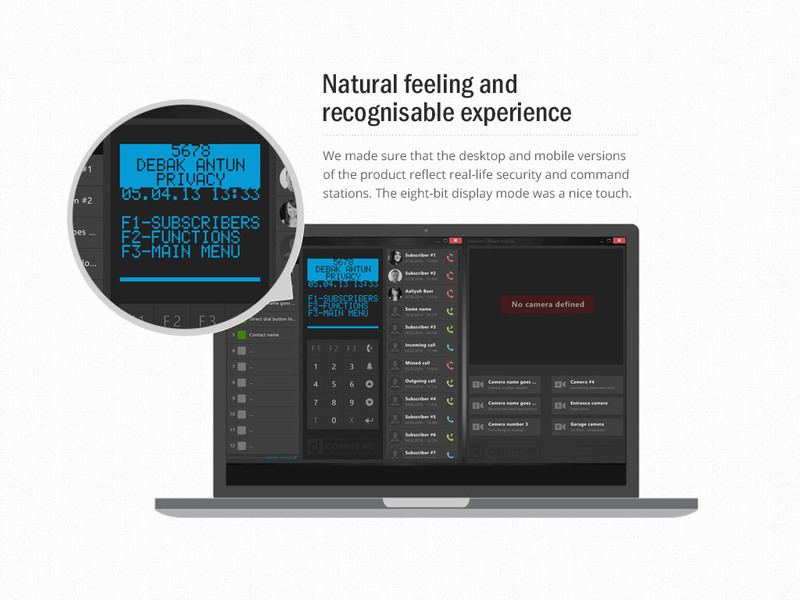 By teaming an interactive and highly intuitive user interface with an actual numeric keypad, standard Commend function keys and display, we’ve created a solution that transforms any Android or iOS device into an intercom station. Special considerations have been taken into account such as different screen sizes and pixel densities as well as fragmentation of the Android OS ecosystem. Also, simplicity and ease of use had to be centrepieces of our design strategy since, in the majority of use cases reaction time to potential or actual security threat is one of Commend’s major concerns. For the web app our main requirement was to improve the ability to drive the user’s focus to certain events as they occur; for instance someone calling from the car park intercom. The product reacts by removing all distractions and bringing up the feed relevant to the event in question. We also improved the interface, making it easy to understand and simple to use, even on mobile devices despite being a web-based application with strong back-end systems logic. Both solutions are in active use all over the world proving that our user experience expertise has, once again, created a clear and competitive advantage for our customer and a pleasurable user experience for their users. 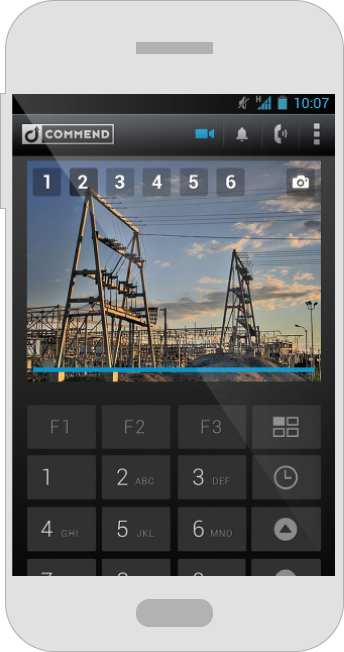 In the case of mobile apps, users can operate the intercom station intuitively via touch screen commands. 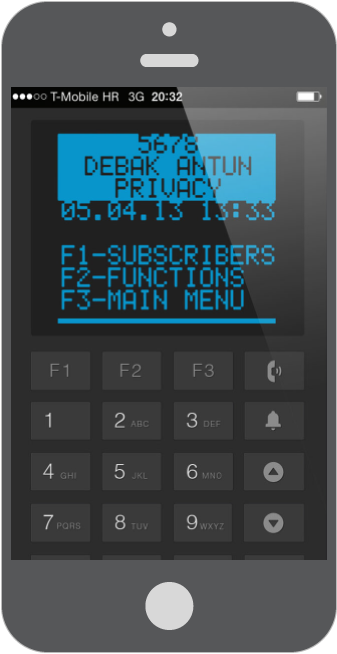 A tap of the finger displays a list of subscribers, opens and manages gates, controls connected devices and equipment, and so much more. It works hand-in-hand with the Commend intercom station and is available as a combo package or a stand-alone application. 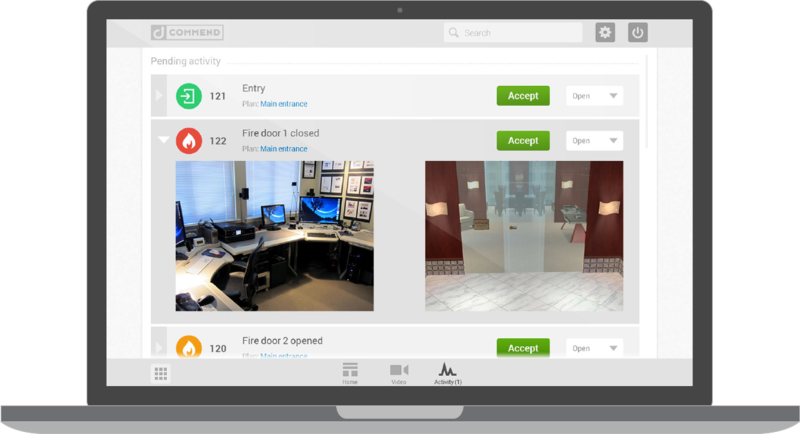 For the web-based app we’ve retained all the native functionality of the product and the improved UI allowed us to develop new options as well. At the time of writing this project is still in its early stages, but it is showing great test results and we will, as usual, keep a close eye on it and be ready to jump in and help out if the need arises again.